for $1,049,000 with 3 bedrooms and 2 full baths. This 1,672 square foot home was built in 1986 on a lot size of 0.65 Acre(s). Are you a little bit country, but still want to be close to the rock n' roll? Welcome to 'close-in country'! 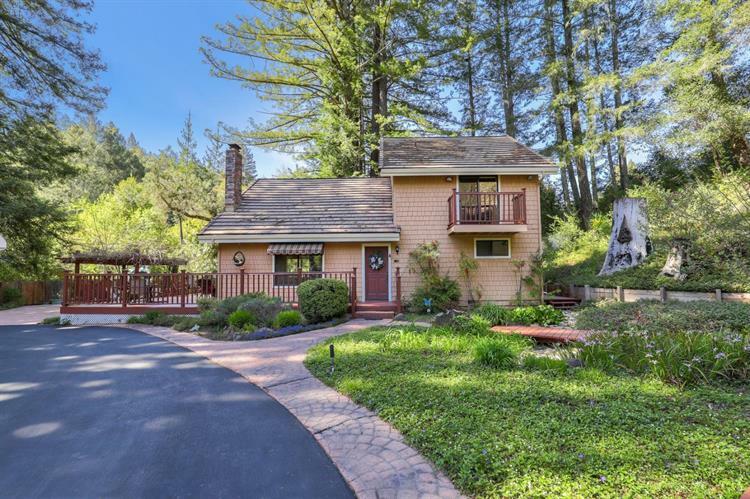 Nestled on a private, sunny, gated ~2/3 acre property surrounded by lush landscaping & majestic redwoods sits this enchanting country home w/ detached 2 story, 2 car garage that is currently set up as an in-law unit. The home features 2 bedrooms & 1 full bath downstairs and master retreat located upstairs. Beautiful living room w/ soaring open beam ceilings, cozy wood burning fireplace & built-in wet bar. Adorable country kitchen is open to the dining room & connects beautifully to the back yard BBQ area. Host the whole family on the spacious wrap around deck or under the wisteria-laced pergola. Walking distance to Skov Winery & only 2 miles to Scotts Valley! 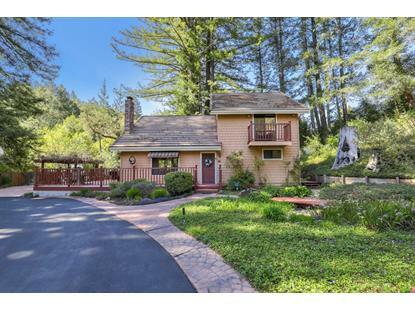 This is a truly magical property with close proximity to town and within the award winning Scotts Valley School District. You are going to love this life!